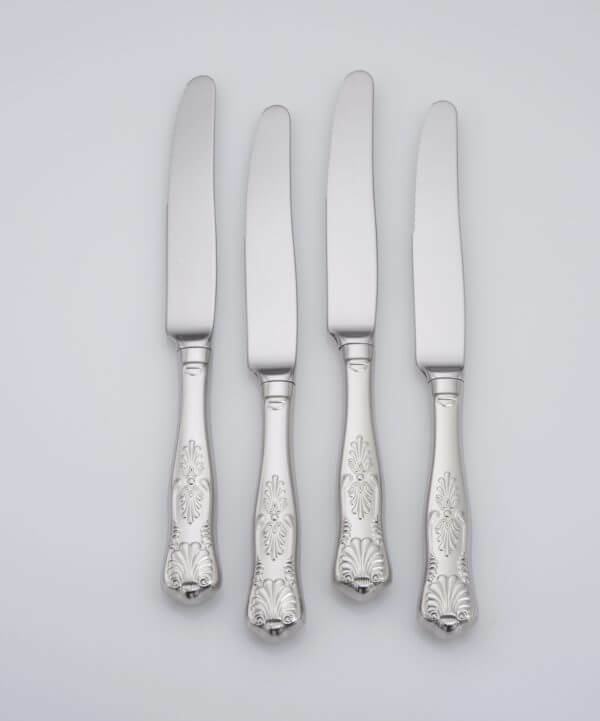 Created with the tradition of Old England in mind, the Sheffield pattern is truly elegant. 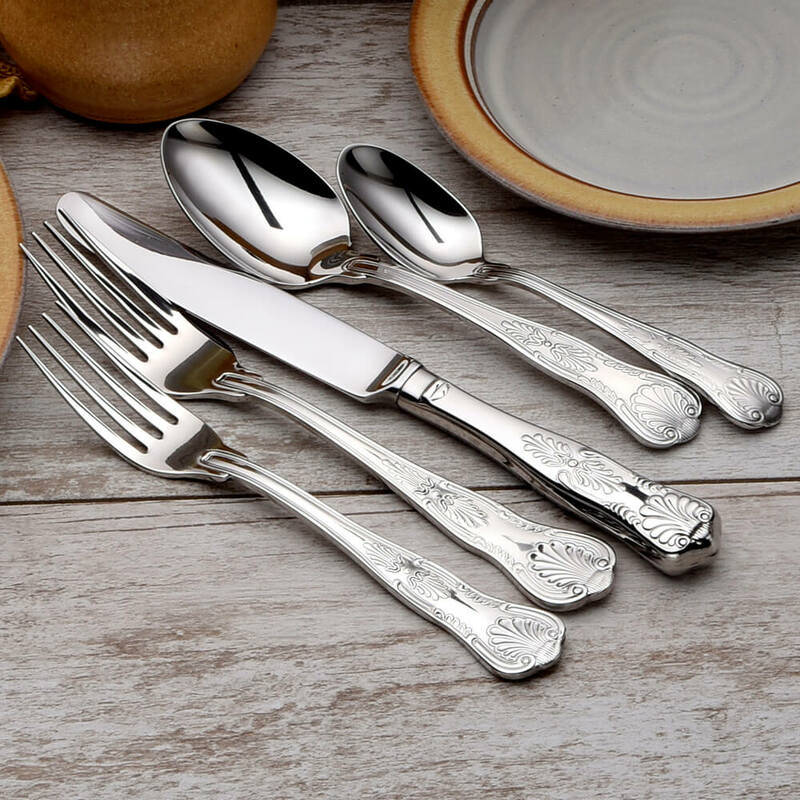 This vintage design is skillfully crafted in 18-10 quality stainless steel and then polished to a lustrous mirror finish. 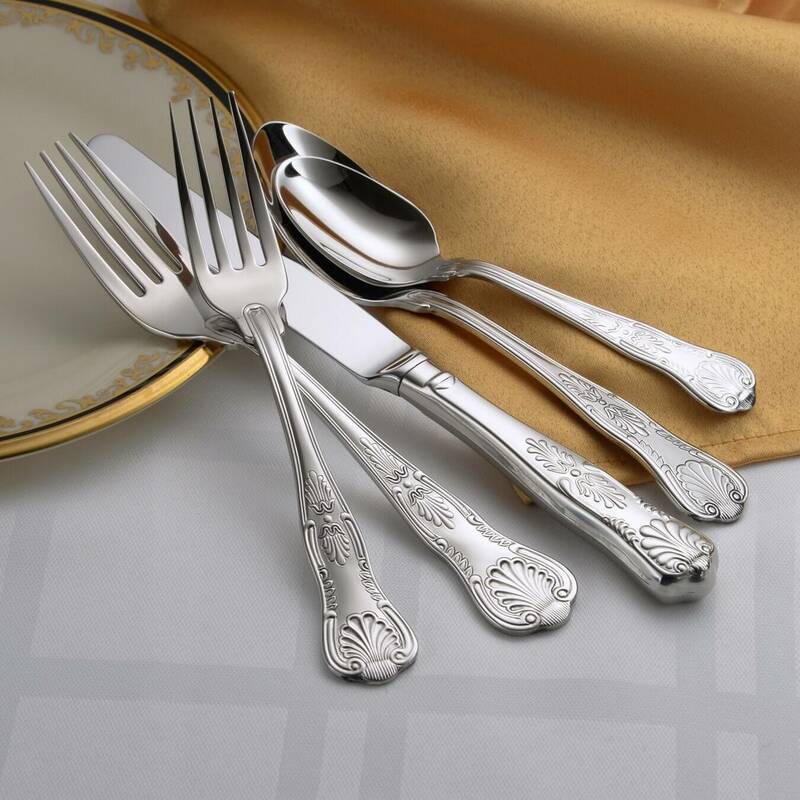 Its classic style and intricate ornamental detail will look stunning on any table. Nice feel and heft. 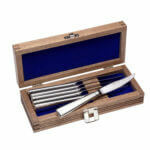 Elegant length to fork tines. Appears to be well made. I would recommend this company to others. Good value for the price. Beautiful pattern, nice heavy weight, very elegant. 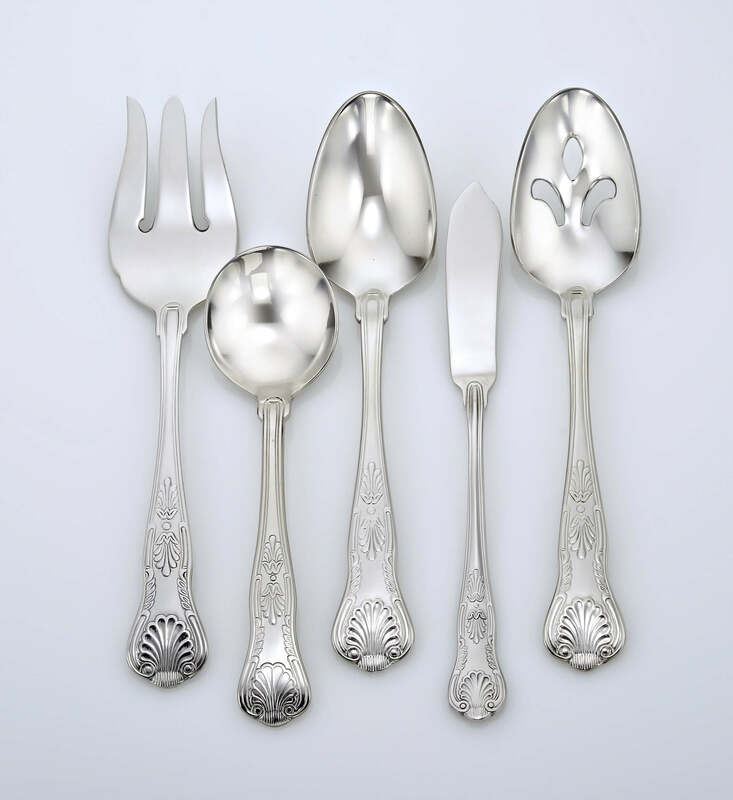 I just love this flatware, feels like it will last forever. Silverware is high quality and beautiful. I like buying USA made products. 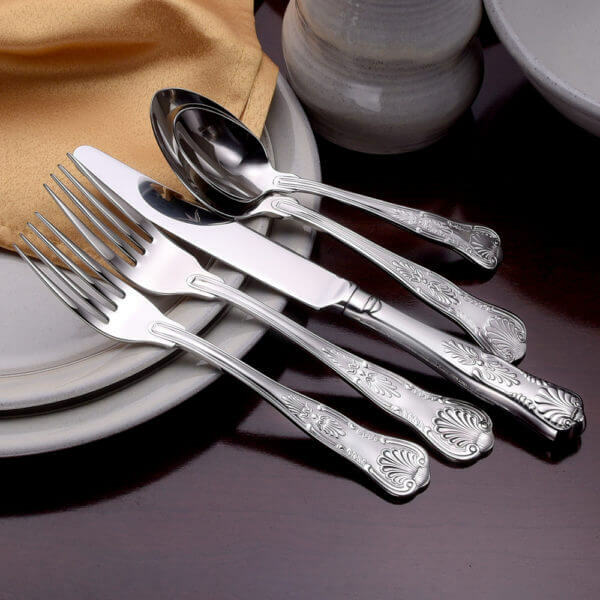 When I started looking for a new set of flatware, my number one priority was to find something that was still made in the USA. A daunting task…so when I discovered Liberty and the Sheffield pattern, I was delighted. I love the quality and the Old English look of this set. I am extremely pleased and happy that I found Liberty. 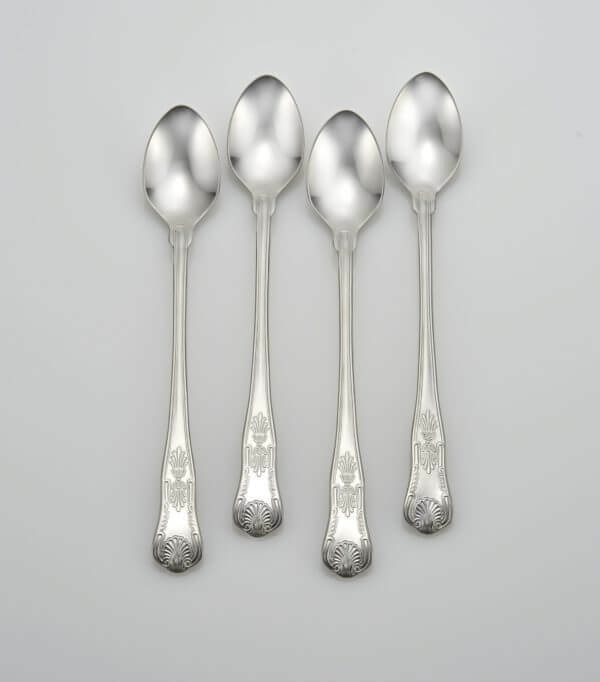 Purchased these tea spoons for ice tea as well as deep condiment jars. This is in addition to our full Sheffield set purchased at the same time. Fully satisfied made in the USA. The size and weight of this set is also impressive. Each piece feels comfortable in hand and easy to manage. Buying made in USA was a priority and we are fully satisfied. Excellent time on mailing and quality as usual. Excellent response and quality as always. 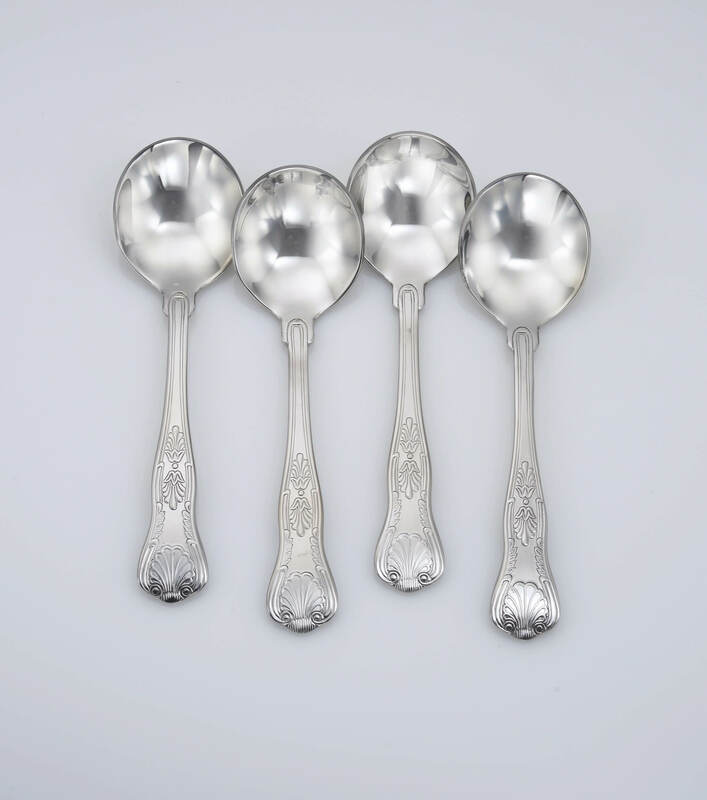 My Sheffield serving spoons were so irresistibly beautiful that they were nicked (swiped, pilfered) at a potluck. Got three more to replace the two, and well worth it. Maybe the new owner will like them so much they’ll order a set! I absolutely love the Sheffield pattern. The pieces are very sturdy – will not bend when digging out hard ice cream! 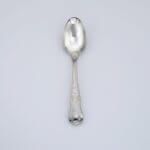 The only drawback is that the serving spoons are a bit small in spoon width that I expected. The only disappointing aspect of the purchase was that a few weeks after I ordered, a 20% discount was offered. I only received a 10% discount. Since the purchase date was so close to the 20% off, it would be nice if Liberty sent me a gift card for the other 10% off – otherwise I probably will not buy anything else from them. Companies disenfranchise people who buy at a higher price than is offered shortly after. This is a lovely pattern and feels very substantial. It is keeping its shine beautifully. I am so glad that I bought it. 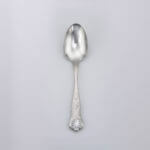 I have been searching to replace my stainless flatware for a VERY long time. It was important that it be made in the USA. The Sheffield pattern was just what we were looking for. (it is great for everyday and for more dressy occasions when I would rather not pull out my sterling flatware) My husband especially likes the “heft” of the place fork. I am impressed that the place knives have serrated edges. I ordered several “samples”, which gave us a chance to see and feel what we were ordering. What a great idea!!! I give all the credit to finding Liberty to my daughter who ordered her flatware from them. Great company, fast shipping. I highly recommend!!!! Now if I can just find other companies that take pride in being and making American!!! Just received my beautiful new Sheffield flatware. I’m very impressed with the workmanship and professionalism. The delivery was quick and so was an answer to my email. I make a point of supporting local ethical businesses and, in this case, it meant supporting my neighbours to the south. This is excellent quality and we will enjoy using it every day as well as for entertaining. Wish we made this in Canada. Bought the whole set & a few extra serving utensils. Couldn’t have asked for better quality & love the intricate design on the handles. Just what I was looking for & even better. Previously bought the full set. Really like the design and heft of all the utensils. Recently replaced a lost salad/dessert fork. At the same time I purchased a set of four steak knives. They cut very well and also match the whole set. So glad I bought the steak knives at the same time that I replaced the lost fork. Also, I have utensils from a different company that I was going to use as a change up everyday set. It’s pretty but doesn’t have the heft of the Sheffield set, so I only use Sheffield. Sheffield is beautiful, and I really enjoy using the Liberty Tabletop utensils. I’m absolutely satisfied and greatly pleased with my Liberty Sheffield purchase. The 65 piece Sheffield set arrived in three days. 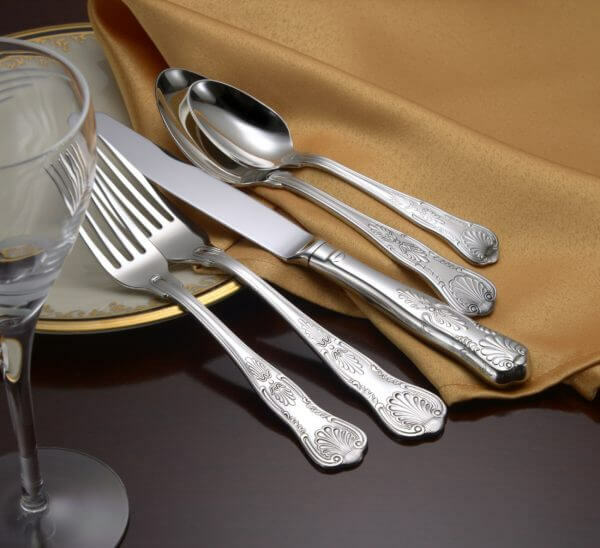 The service is beautifully designed and the weight of the pieces make every occasion feel special. I researched for some time before purchasing from Liberty. I appreciate Liberty’s environmentally responsible values, their care to ensure the metal they use meets the highest standards for our health and their commitment to using non carcinogenic chemicals. I chose well, I’m proud to use Liberty and intend to purchase more in the future as our family grows. I purchased the Liberty Sheffield pattern a couple months ago and I am thrilled with it. I was replacing my Oneida that I had purchased in 1999. 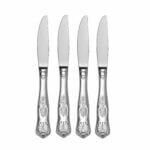 I at first looked at Oneida as I had owned this previously but quickly found that the quality had deteriorated since being made in China. 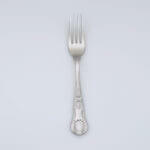 I then looked for a flatware that was made in the USA and found Liberty. It is very fine quality and weight and I was pleased to find out that this company does not use the potent chemicals that destroy our environment and our own health. It feels good in your hand and the pieces are just the right weight. I chose the sheffield pattern because the stylish, art deco design fits in well with my 110 year-old home. The look is timeless and appropriate for modern tables as well. It’s clearly a high-end set. The dinner forks are large and the place spoons are deep. At first I found the knife blades to be a bit short, but this feature improves balance. The entire set is very well-balanced. The pattern of cold meat fork appears to have been stamped slightly off-center, but I didn’t return it because no one else can see the imperfection. Oh the Sheffield flatware is so beautiful! I’m so happy and pleased. first it’s made in USA, the quality is high and it’s beautifully finished. Thank you Liberty Tabletop. These are so shiny and hefty. I love to feel the weight of them. So I just boiled them with baking soda and sea salt. and they are in the dishwasher for the last step of getting rid of all of the buffing paste. But overall, These are GREAT quality and 25 warranty sounds reasonable for a bit higher price than other companies! the thing I liked the most is each piece has USA mark on it! I ordered the 65 piece flatware set and it arrived in 3 days. Our family loves the pattern and the quality. The only drawback is the dinner knives are not one solid piece. I had to return some knives because the blade was loose. Liberty Tabletop made returning the defective knives easy and I’m completely satisfied. 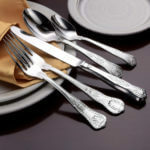 I was so happy to find flatware made in America. 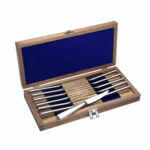 It was great to be able to order samples at a reasonable price before deciding to purchase a set. 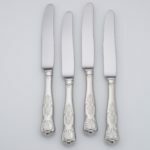 The quality is so much better than anything I’ve seen in the stores, and I would recommend Liberty to anyone looking to purchase their first set of flatware or replacing a 38-year-old set, as I was doing. The Sheffield pattern is classic and beautiful (I’ve always loved a shell design), and the weight of each piece is impressive. Nice work! This is a gorgeous pattern! 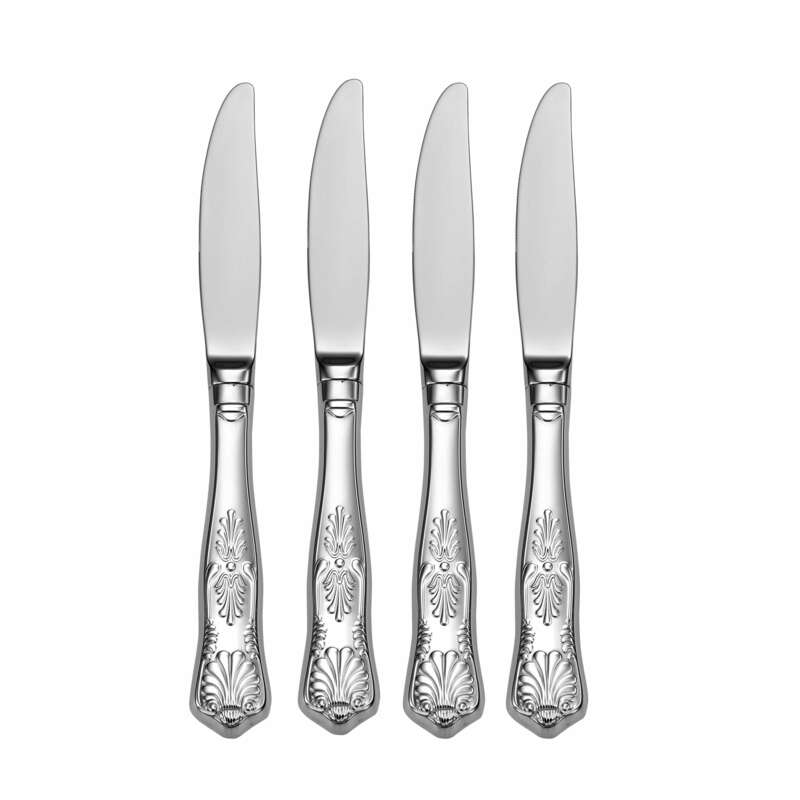 The embossed detail on the back heightens the quality, equal to fine sterling patterns. 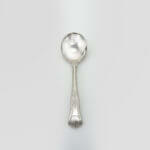 I am thrilled to have flatware that compliments our fine china, without any needed polishing! Yes, the LUX line is elegantly larger, but not as huge as some European sizes where the dinner fork feels like it could give you a tonsillectomy. Sheffield is reasonably sized, giving it’s presentation real style. 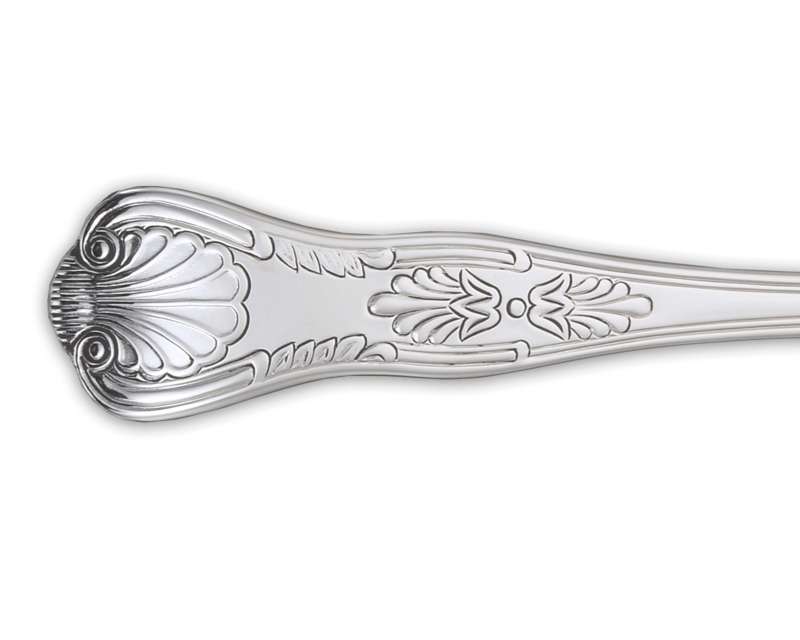 I was thrilled to discover Liberty Tabletop flatware, for so many reasons. I care A LOT about toxic chemicals in our bodies and in the environment!! I care a lot about how employees are treated in work environments!! I care about the families of those employees, who are directly affected by those jobs too. And I care a lot about maintaining and bringing back jobs to the US. 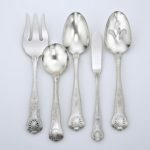 I did my due diligence in researching options to purchasing flatware that I would use regularly, and pass on to the next generation. No companies came close to offering what Liberty Tabletop does. Even if I lived overseas, I would still want to choose patterns from this company. Support truly, honestly MADE right here on AMERICAN soil! This company works hard to help us. Let’s help them!! I bought 12 place settings of the Sheffield pattern because I was so thrilled to find All American company. Being a RN, I am concerned about the toxic metals that are used in the Chinese-made tableware. This flatware is so wonderful,so balanced in design, so perfect, that I asked each of my four adult children to pick out their favorite pattern, and bought them flatware for Christmas gifts. 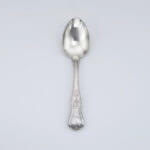 We are all delighted with the beauty, quality, and Made in USA completely NON TOXIC Liberty flatware. Congratulation to a fabulous company on your recent government contract!! Go Liberty in wonderful New York State! I am impressed with quality of the Liberty flatware. It is a large difference the ones I have that are made in China and the ones I just got form Liberty. Just the weight different is unreal. My Liberty flatware is so must thicker then my old flatware that bends so easily. I am glad I made this purchase. I first ordered the $5.00 “seconds” sample. While the Sheffield pattern was nice, it was not as distinct as I wanted. Because what I received was a “second,” I was assured the product I ordered would match the photo. I selected this set to match a partial set inherited from an aunt in NY. With reservations I placed the order. Not only is the flatware beautiful, it exactly matches the photo on the website. What you see is truly what you will receive. 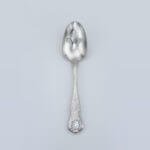 Best of all it is a perfect match for the existing flatware we inherited. It arrived quickly and each piece was well wrapped. We support Made in the USA. I ordered the service for 12 about a week ago, and it was here in two days.The set absolutely lovely. Every time I use them it is a pleasure. I am very very happy with my purchase. 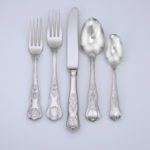 I have been looking for quality flatware made in America for a couple of years. 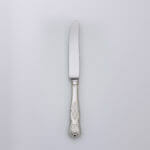 I was concerned about ordering from Liberty since I would be selecting my flatware based on pictures. My husband finally convinced me to move forward and I purchased the Sheffield pattern. I had a couple of questions that were quickly answered by phone and product delivery was within the week. I am amazed at the quality and beauty of this set. 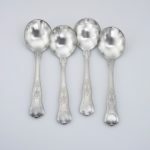 I eagerly await the additions of a butter knife and sugar spoon to the serving pieces available. 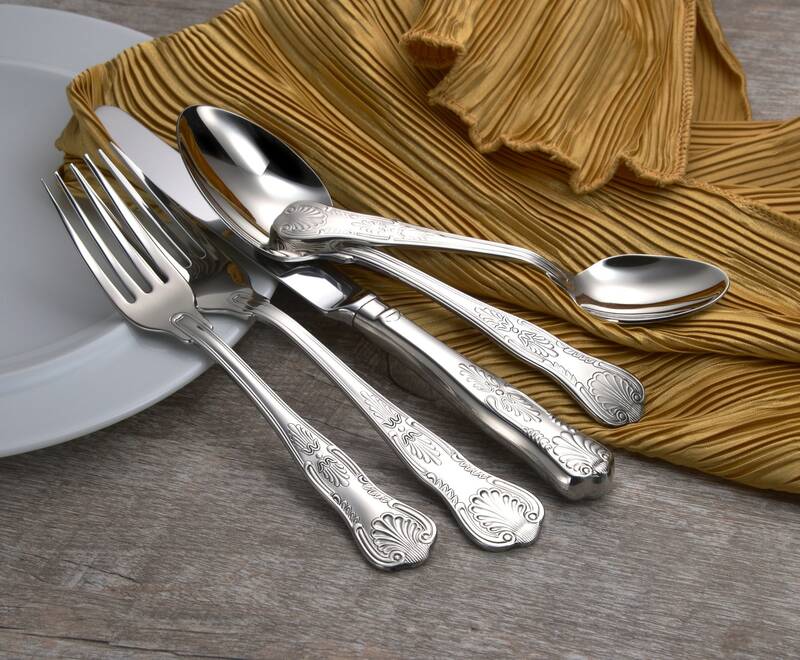 I highly recommend this company and their Lux flatware.